Are you looking to sell your Mercedes-Benz? We offer a fast and safe way to sell your Mercedes-Benz with no hassle. Get your Mercedes-Benz valuation and receive a fair price. We buy all makes and models of Mercedes-Benz regardless of age or mileage. Many people have sold their Mercedes-Benz, and received a fair price. We will provide immediate payment for your Mercedes-Benz. Our team of Mercedes-Benz experts are trained to provide excellent customer service and will give you all the help you need to sell your car. We will purchase your Mercedes-Benz in any condition or age. We buy vintage and new Mercedes-Benz cars. There is no faster or efficient way to sell your Mercedes-Benz and receive immediate payment. Enter your Mercedes-Benz details online for a quote and sell your car today. 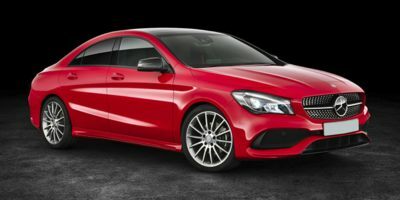 Mercedes-Benz is a safe and trusted car manufacturer with an array of luxury cars. From the C Class Coupe to the SLS AMG, Mercedes has style written all over it. The carmaker has built strong and reliable cars since 1926. Mercedes leads the way, well known for its quality and durability. All Mercedes-Benz car owners experience a quality ride with many luxury amenities including one of the first cars to possess GPS navigation equipment built into the car. Mercedes makes cars for the racing industry as well as busses for the tourist industry. Quality control is top notch with Mercedes-Benz. This carmaker is one of the oldest manufacturers still in business today.